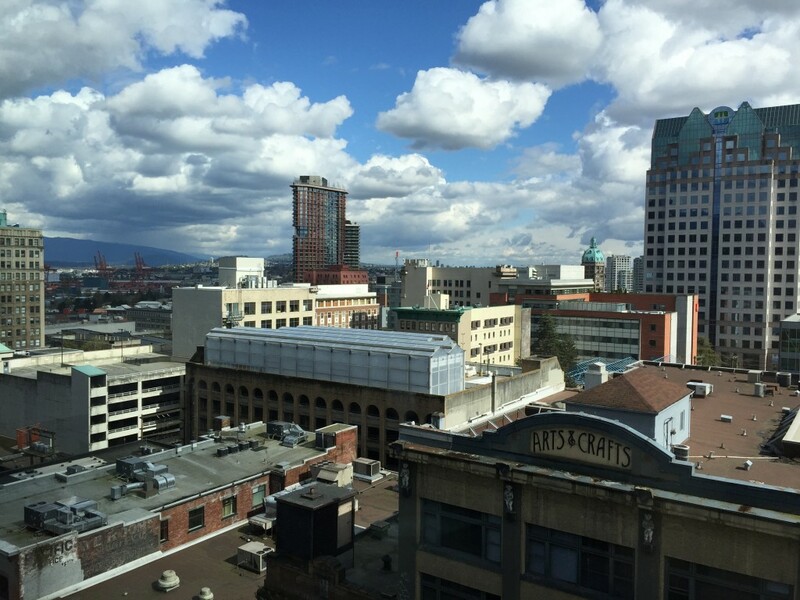 View from BCIT during the workshop. On Saturday, April 11, the second Women Talking WordPress event was held. Eight women and four facilitators gathered at BCIT for the workshop on how to develop a talk for WordPress Meetup, WordCamp or any tech event. Women Talking WordPress started last year as a way to encourage more women to speak at talk events. The WordPress community in Vancouver is generally 50/50 but in past years, the vast majority of speaker have been male. Jill Binder, Vanessa Chu, Mandi Wise and I (Kate Moore Hermes) developed a workshop to help women pick a topic, write an outline and develop strategies for moving passed the barriers that keep women from speaking. Last year, the workshop was a huge success! Almost half of the women who took the workshop ended up speaking at a WordPress Meetup or WordCamp. As always, WordPress Meetup and WordCamp need awesome speakers like you! We’d really like to run this workshop again this year and include all genders, because we know that there are a lot of great potential male speakers in our community too, that might just need a little push to get talking. If you’re interested in the workshop (and are of any gender!) please comment below, or find us on Twitter of Facebook. WordCamp is coming up, and even if you’re a seasoned speaker, this workshop can help organize your talk and write a great pitch. In the spirit of opensource, we’ve also made our workbook accessible to the whole Vancouver WordPress community. Please feel free to download the workbook we created here, and use it to help you create an awesome talk. Please note: The workbook was updated on April 15 to reflect the names of the people who contributed to it. Kate Moore Hermes is a graphic designer and WordPress developer. She runs a business in Vancouver helping small business and entreprenurs find their brand and space on the web. She's an occasional instructor and assistant instructor at BCIT in Vancouver. Just read through the tips sheet, and it looks really good! Thanks for sharing this. Glad the workbook looks helpful to you Erin Anne! If you want to do a talk/Meetup in Surrey/White Rock, please get in touch. That’s definitely not impossible and we can try to help make it happen. I’m so glad the latest workshop in Vancouver was a success! I ran a similar workshop at AdaCamp Montreal today. We also have a resources site for beginner speakers that folks are welcome to check out: http://getspeak.in/ – and I’ll add a link to this PDF from there as well. Hi Kathryn! Sorry for the oversight. We’ll add the credits ASAP, with thanks for your contributions! Loved the workbook – nice development process and MASSES of great speaking tips… super-well-done. Everyone should read that. Also love the shout-out to Toastmasters – definitely highly recommended. Pingback: Vancouver Speaker Workshop | Get Speaking! Good post Kate! Women are rocking WordCamps today. Rebecca Gill, Beka Rice, Julie Kuehl to name a few. There’s one article that covers some Women in WordPress-their achievements, WordCamps they organized, spoke at and others. It would be a good read.